Mother of Three Sheds 29 Pounds and Transforms Her Life with Hitch Fit! 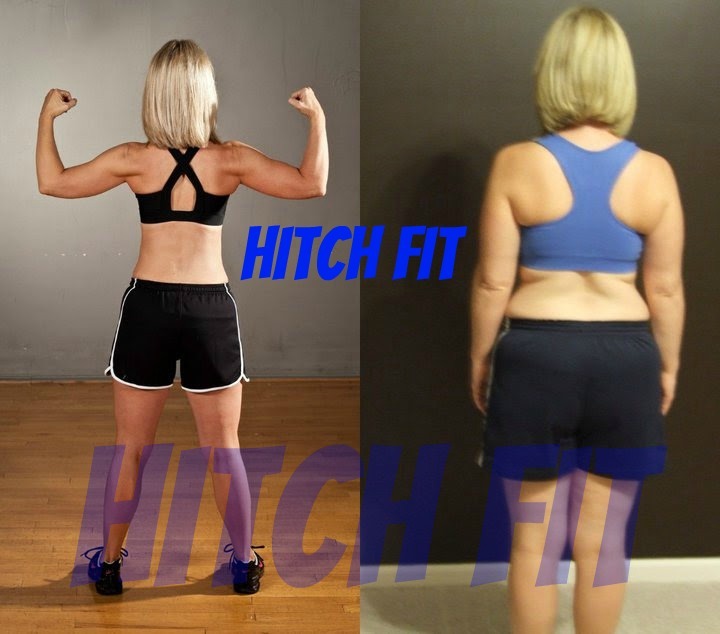 Home/Success Stories/Mother of Three Sheds 29 Pounds and Transforms Her Life with Hitch Fit! I am a 38-year-old wife and mother of three awesome kids, ages 12, 11, and 6. As many busy moms know, the weight tends to creep on after you have kids. At my heaviest I was 174 lbs (not pregnant)….that is big for someone 5”2”! I have tried a LOT of different diets over the years. Although I lost weight with some of them, I never achieved the results I wanted. I could never seem to get below 140 where I had been stuck since about 2004. I worked out a lot too. I did cycle, boot camp, kickboxing, and weightlifting classes as well as running on the treadmill and other cardio. I have even run several half marathons in the last few years. I was religious in making it to the gym 4-5 times a week and I worked hard when I was there. The funny thing was, you would never know it to look at me (as you can tell from my before picture). I knew my nutrition was not right but that seemed harder for me to control. I thought if I worked hard enough at the gym I could take the weight off. Wrong! Exercise is only part of the equation. As Joel has told me, there is no workout regimen that can compensate for a poor diet. Last October my husband told me about Hitch Fit and how successful several co-workers and their spouses had been in transforming their bodies. I knew I needed some guidance and accountability to reach my goals. I checked it out online and immediately knew this was something I wanted to do. I called Micah and the next day I had a consultation with Joel. I have to admit I was a little nervous but very excited to begin my Hitch Fit journey. During my consultation, Joel and I talked about my diet. I didn’t think I ate horribly, but with three kids in different activities every night of the week I will admit we hit the drive-thru too often. I could see that some drastic changes had to be made. Joel gave me a structured plan for eating in a way that would build muscle and help me lose fat. It was intimidating. The idea of passing up on all the “good” foods I wanted seemed near impossible at first, but I was committed to the program. I can’t say I was one of those people who never cheated. I looked forward to a cheat meal every weekend. That seemed to make it easier to stick with eating healthy throughout the week. The funny thing is, my cheat meals became less and less satisfying the further along I went. In fact, I didn’t even have one the last few weeks. It just didn’t seem worth it. I have learned to eat in a way that fuels my body and makes it stronger. That is satisfying! I have to thank my husband for being so supportive of the food changes at home. Now he is eating much healthier and has lost weight himself. How awesome that we can motivate each other to eat the right way! Our kids haven’t really complained about missing their fast food meals, and It feels great to know we are providing a healthy example for them. We have even started working out together as a family sometimes which has been really fun. My sessions with Joel were challenging but worth every minute. They were always different and pushed me to my limits. My workout regimen before was much more cardio based. Strength training has changed my body and I feel so much stronger now. I am definitely in thebest shape of my life. I weigh what I did when I graduated from high school 20 years ago, but I am much stronger. I have more confidence and more energy and I feel great! Joel, you have been a mentor throughout this process, and I now consider you a friend. Your encouragement has meant a lot. You never doubted I would reach my goal, even when I did. You have truly helped me change my life. The knowledge you have given me will stay with me forever. If you want to make a change for the better, Hitch Fit is the way to go. Is it easy? No. Is it possible? Yes. It takes hard work and commitment, but aren’t you worth it? Ready to start your Transformation with Joel?